Tarantismo has had this awesome opportunity to work with the ‘So you think you can dance’ star Chris Jarosz. 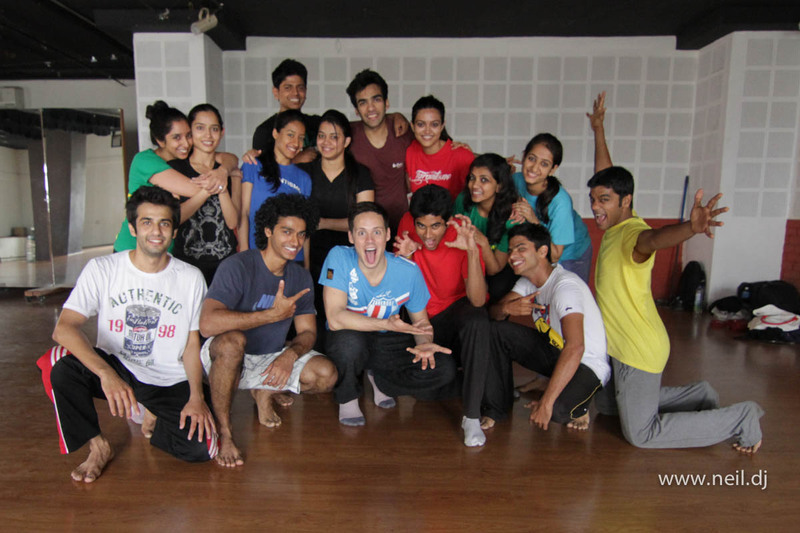 We had special classes with him over the last 2 days, and its been a huge leap in learning and understanding dance. And hence we decided to keep this Workshop with Chris Jarosz in Bangalore to share this knowledge with everyone in the dance genre. Chris was one of the judges at the Artists in Action, where we first met him. And since he was travelling to Bangalore after then event, he was more than ecstatic to collaborate and work with us. There was a lot we learnt from his feedback about our technique, and I’m sure we gave him some new details in Indian classical dance too. Apart from SYTYCD, he’s also been a part of a couple of TV series and the Emmy awards. He’s been a part of the famous dance piece “Viva Elvis!”. The workshop with Chris Jarosz in Bangalore is being organised today in Connect studio. More details are in the Facebook page. Excerpt from the page – Chris’ main styles of dance that he focuses on are Ballet, Contemporary and Jazz. He made it to the top 20 of ‘So You Think You Can Dance’ Season 4. He has had the honor of working with Mia Micheals, Tyce Diorio, Wade Robson, and Shane Sparks. His bio also includes ABC’s ‘The Bachelor’ and ‘Dancing With The Stars’, Cirque Du Soleil’s ‘Viva Elvis!’, and JLO’s Music Video ‘Dance With Me’. Some of his repertoire is below.